Fiona Adams Photographer. Celebrity photographs from the 1960s. 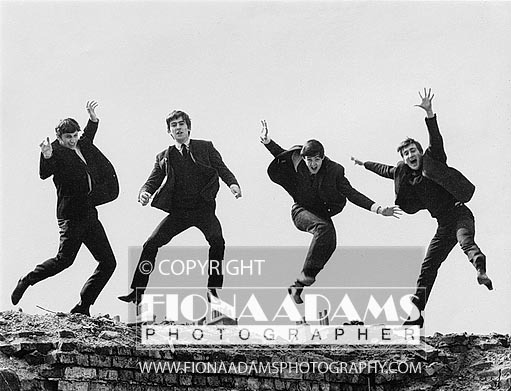 The photograph chosen for the cover of the Beatles "Twist and Shout" EP released in July, 1963. 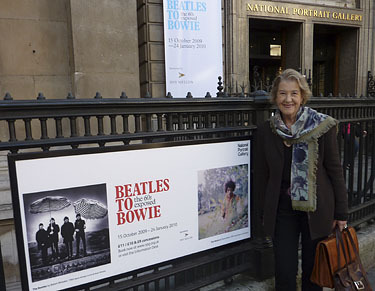 "..this has become one of the key images of the 1960s. With its explosive energy, it represents an early salvo in what John Lennon later called 'A Revolution among Youth'." 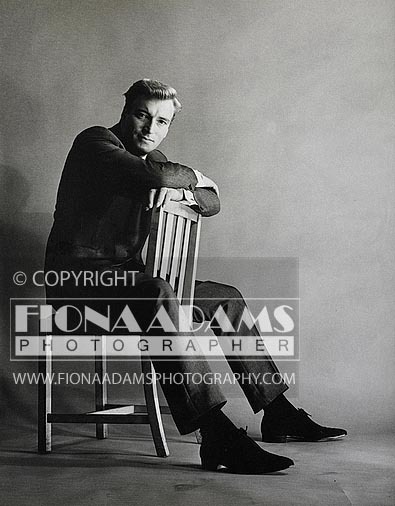 English born, Frank Ifield quit Australia in 1959 to further his career abroad, his goal, (which he soon made) to appear at the London Palladium. He was the first artist ever to score 3 consecutive Number One hits in Britain. Another youthful, exuberant photo of the times with Gerry and the Pacemakers careering down a playground slide. 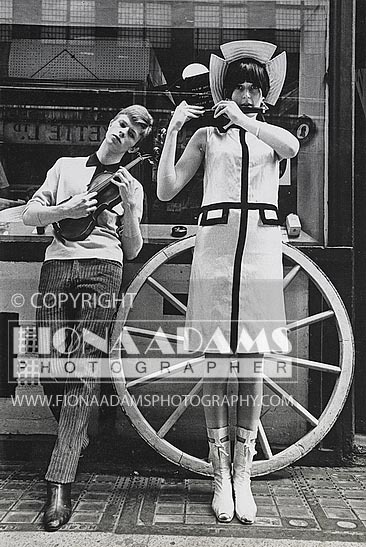 A very young David Bowie shown here modelling Carnaby Street fashions with Jeannette (Jan de Souza) in 1965. 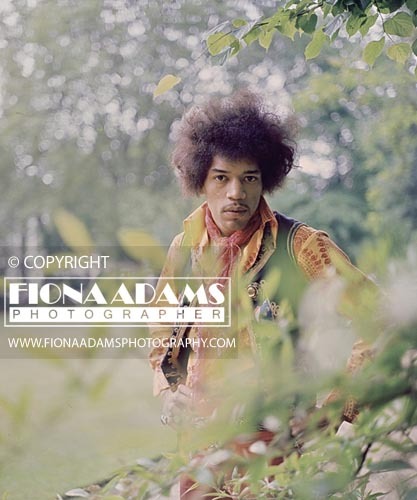 This rare shot of Jimi Hendrix was taken in the garden of a hotel in Lincoln (UK) while on his first tour of Britain in 1967. 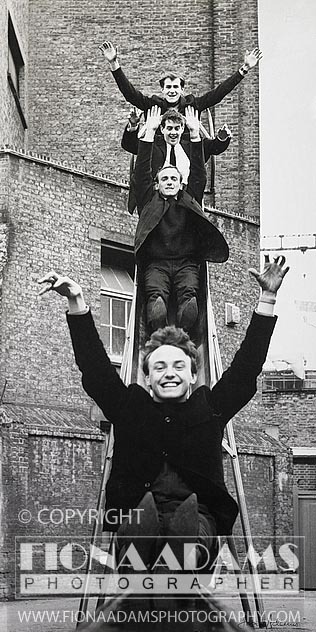 Jon Savage, who collaborated with Terence Pepper in the preparation of this Exhibition, has described it as "his favourite photograph" in the Exhibition. available only from www.fionaadamsphotography.com as archive prints here. 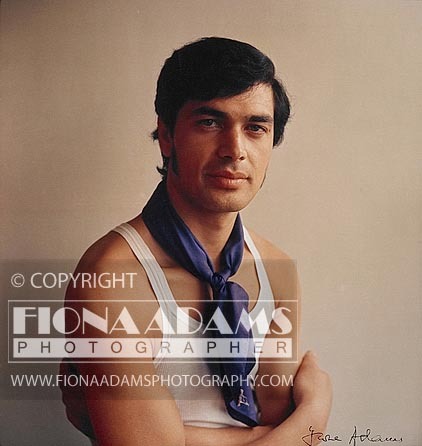 Engelbert Humperdinck taken between changing shirts on a shoot for Fab 208 Magazine in 1967. At this time he was topping the bill of a tour of Britain which also included Jimi Hendrix, Cat Stevens and The Walker Brothers.